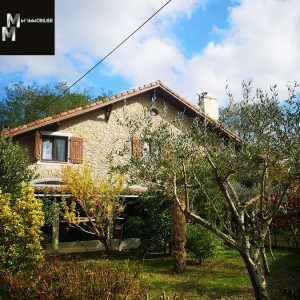 Traditional 20C French Farmhouse full of character and potential. 246m² in total comprised of four main parts. 69m² living room in two parts on the ground floor. 68m² upstairs with three large bedrooms, office and games room. 42m² living room with two bedrooms upstairs to be redecorated as you wish. 40m² Annexe on two floors ready to convert into an apartment to bring in an income. 70m² garage, 20m² wine press, 11m² shed. The property sits in one hectare of land with orchard, wood and private lake.